So I was really disappointed when I got to library school and realised that there was no longer a module for those of us interested in rare books librarianship. However, a lack of formal education on the subject shouldn’t stop you pursuing it. I have been very fortunate to find myself working with very old and rare materials and it really has been a case of learning on the job. But, also learning ‘off the job’ so to speak. The first thing I would say to anyone looking to get into the area without formal training is to look for opportunities and ask for help. I visited libraries and spoke with librarians and attended events where I knew librarians working in the area would be speaking. Being pro-active in this way gives you an opportunity to assess whether the area might be a good fit for you. And if it is, these activities also help to demonstrate a genuine interest when looking for experience or during interviews. Language skills in Latin, German and others can be an advantage as well as others skills such as palaeography. However, I wouldn't say they are a requirement; far more important is a willingness to learn and some curiosity. You can seek out the answers you need using some of the resources I have outlined below﻿﻿﻿﻿﻿﻿﻿﻿﻿﻿﻿﻿﻿﻿﻿ and go and find others. Last November I attended the CILIP Rare Books and Special Collections Group New Professionals Day which I found very useful. There is a good write up about the day on the group’s Spring 2016 Newsletter available on the CILIP website. It includes information about the work of the different presenters, some useful advice and resources such as books that could help steer you in the right direction. In my current role, as a project cataloguer, I work with rare books and incunabula. It’s been a very enjoyable experience but there are things that prove difficult at times. For example, sometimes the language and text can be difficult to interpret and handwritten provenance information can be a pain. Though, for me personally, the history of the books, and the sometimes beautiful illustrations or quirky marginalia I find more than make up for the times of frustration. Guide to Latin place names - http://rbms.info/lpn/ - useful for identifying where items were published. British Library’s Incunabula Short Title Catalogue – Contains links to digitised versions to help with identification and to check for variances. Copac – To check other library holdings and sometimes to help with decisions about Subject Headings etc. I also tend to use Google Translate a bit – it’s not the most accurate but sometimes it can help. 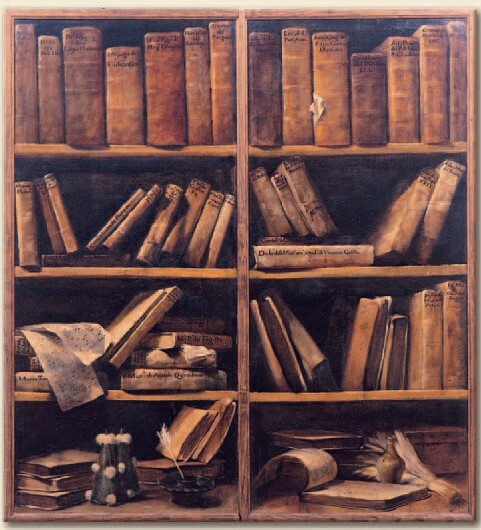 MOOCs – Both Harvard and Stanford offer MOOCs about the history of the book and printing. Aberystwyth University offer add-on postgraduate short courses on rare books librarianship. There are also a number of rare books schools and summer schools, the London Rare Books School being one. Plus, as mentioned, a lot of conferences and new professionals events have excellent speakers who have worked in the area so keep an eye out and attend if you can. Of course, I have only been working in the area for a short time and by no means am I an expert so if anyone knows of any other useful resources or has any further advice, please do contact me, leave a link or comment in the comments section. My final words of wisdom are it might also be good to identify, and then try to get some experience working with, different aspects of the job. For example, this could be working with social media or writing funding applications. Even if you can’t find a special collections or rare books librarianship role maybe look at the various aspects of the work and try to build up your relevant experience so when that perfect job does come up you can be far more confident about your application. By G. M. Crespi - Source Wikimedia Commons Public Domain.